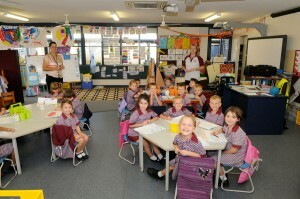 The staff at St Michael’s School work as a team to address the needs of our children. We recognise that all children need security and a sense of belonging. Our leadership and support staff collectively offer support to all students. We recognise that we have a primary responsibility for ensuring that all our children have the right to feel safe and secure at school. We stress the need for children to fulfil their responsibilities to work, play and school life. We develop an atmosphere of mutual respect for the rights and feelings of self and others, and to foster cooperation. Students who need additional support in the area of wellbeing have access to a school counselor. The philosophy of learning support at St Michael’s School is one of supporting student learning within the context of the classroom and providing additional support from the classroom teacher or school officer. This model assists children to work at their level on the concepts being taught within the class context. There are times that we require extra support to individual children and families as needs arise. We do this with discretion and respect. For more information please feel free to come in and see one of our leadership and support staff.